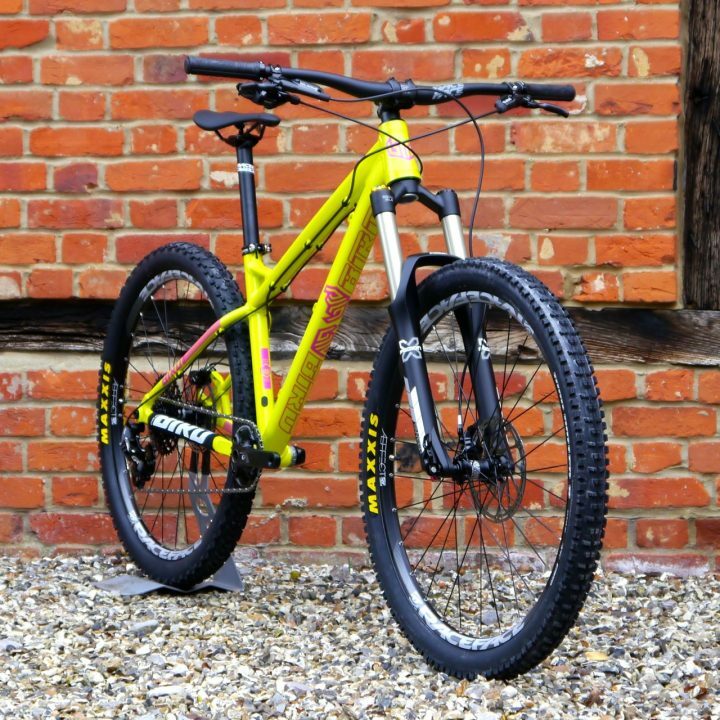 Bird MTB – Born in Swinley, Built in the UK. 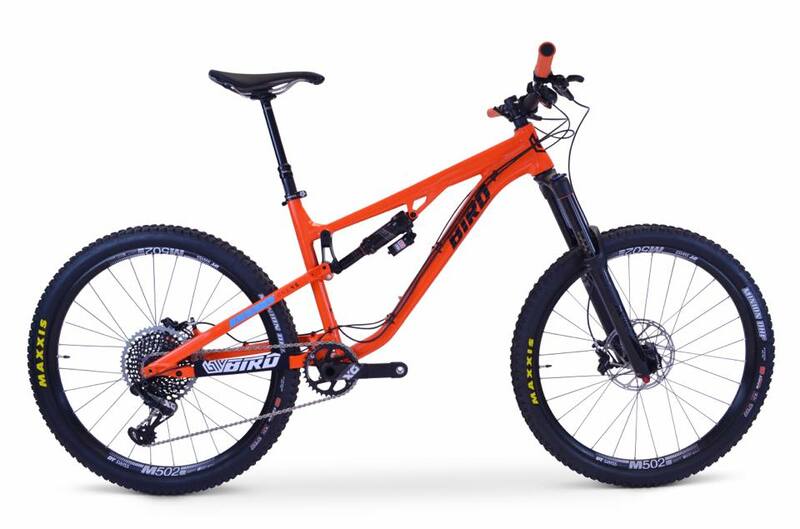 MBUK’S #1 RANKED 29ER ENDURO BIKE – THE AERIS AM9. Everything about Bird is absolutely first class. Their customer service from initial enquiry through to ordering, changing the order once placed to pick up is second to none. And the bikes themselves are simply stunning, they’re absolutely amazing bikes in every way. I couldn’t be happier. And with after sales and warranty being equally first class, there is simply no better place to buy top, top quality bikes. Firstly the way the purchase of a bike is laid out is only found with smaller firms and is truly excellent (although I suspect these guys won’t be termed as a smaller firm for long). The ability to pick and mix a bike and then have it shipped instead of buying a bike kitted out with loads of stuff that your going to change anyway is convenient and most of all cost efficient, you would have trouble building a new bike to the spec that Bird will supply you one. Im not sure where to begin… The bike is flawless. It behaves and feels like a ray of sunlight bursting through a grey morning sky. It is absolutely gorgeus and every time I mount the bike a huge playful urge runs down my spine. Thank you so much for the support before purchase and of course for delivering such an awesome product. Bought my Zero AM frame in early August. Received it in 9 days from the day of purchase, which was very impressive. The frame is stunning. Top customer service too. I was having a little beginners trouble with my tubeless setup, thinking there may be an issue with my rim. I got in touch with Bird, and they talked me through the issue. I highly recommend buying your next bike from Bird. You will not regret it. Great customer service and a cracking bike, can’t wait to get it out and rip! This bike is truely amazing! It climbs well, goes down rock solidl and feels very rigid. I’m glad that i choose the Bird One Twenty, the 145 would be too much for NL. Love the 1 x 12 system!, shifts well, nice and simple and the only payoff is the max speed (which i don’t care of). Also the Pike 2018 is cool. Spent some time on setting the suspension perfectly and it works briliantly. Thanx for your advice on component choice, the tires are also very grippy and i like the tubeless setup. Really as I would run my own company. Really helpful with answering questions and letting me change my specs during the aeris 145 pre order (actually changed it a lot and they coped with it). Overall great communication from each of the guys. Would advise everyone to buy a bird bike. A small point of feedback is that they added option during the pre order fase. Had to find out through the website instead of being offered a change. But in the end I have the best bike I could find. The aeris 145 is great quality. Having ridden it a couple of months now and using it during Enduro and down hill tracks in Italy and Austria. My old spectral stays in the shed and is looking for a new owner now. Demo’d a 145 at the dyfi enduro as it was on my shortlist of bikes to look at. Right away the guys created a good impression and after my first run even fitted a mud tyre to deal with conditions there. Riding the bike on the same stages as mine really highlighted how good it was and a couple of weeks (and a fair few phonecalls later) I’d bought one. Great customer service from everyone I dealt with and the bike itself is an absolute rocket. Really like the parts selection that’s available as well; it’s all well thought out and helps avoid the near inevitable experience of buying a new bike and then spending several hours pulling bits off because they’re unsuitable for the UK or not to your taste. Two thumbs to these guys- great bikes and great to deal with. I went for a demo and got really impressed. You can count on customer service like (if not better than) in the best LBS, but at the direct-sale price. Hard not to be a fan! Picked my bike and the guys at Bird even managed to find me a green frame, despite that being sold out and they’ve changed my drivetrain after placing the order. Well worth the wait and well worth stretching the budget a little bit. Can hardly describe how happy I am, Awesome bike and awesome shopping experience, thank you! Just got my aeris 145 3 days ago and it is amazing! First full suss bike and it feels so much smoother down the trails now. the Yaris feel amazing really plush and I feel far more confident. The upgrade to the dropper post is an absolute must I was surprised just how great they are. had three rides out so far and ended each with a mile wide grin. Thanks guys it was definitely worth the wait!! Firstly thanks for all the before care! The bike arrived good and early and I found the assembly standard excellent. Chain length minimised brake hoses the same. Awesome! Even tubeless with stans goo. Only managed to get out once but already I’m faster on climbs. Body position is great. I’ve had a LOT of expensive Mtb and this so far is such a great blend of characteristics from those. I wanted a blend of my version2 Nukeproof mega TR with the length and agility of the Mondraker Foxy XR. Spot on! Feels bullet proof too! Roll on July 24 – Morzine. Many thanks for getting the bike ready yesterday. The whole process to date has been faultless. I took the bike over to swinley for a spin.. it’s a good trail centre but the bike was crying out for some rougher tracks.. (we did spy plenty of non marked trails.. but wasn’t to sure of the geography so didn’t want to venture to far off piste) but fortunately we have plenty down here on Dartmoor Keep up the good work. I’m a very new, very happy Bird Aeris 120 owner. Went for the GX spec with Pikes, reverb, turbine bars and stem. Unbelievable value. Got it delivered on Friday and after a quick local ride to set it up I took it to Llandegla on Saturday morning. Had an absolute blast of a ride and was really impressed with the bike. Climbs and handles so much better than my old Canyon Spectral and seemed more composed on the descents. Really think these are special bikes, just got a bit of magic that the old bike didnt have, can’t really explain it! I just wanted to let you guys know I am very happy with my new 145. It was well worth the 2 month wait. I went to Llandegla on Saturday with a group of lads. First impressions from the lads was wow that’s some bike. They couldn’t believe the kit that it comes with for the price. Anyways it rode like a dream and climbed like a mountain goat. I couldn’t be more happier with it and then at the cafe after it was getting eyed up by the locals which is good. So once I improve my skills I will be taking to more places where it can excel. Thanks again for sorting my bike out in time for the nationals. So i took the lean green enduro machine to Swinley after picking her up and initial verdict is smiles for miles!! Felt at home quite quickly and started to push it a bit to see what i could do, well thanks Ben for the rim choice as the grip is phenomenal!! The bike feels amazing and i am chuffed to bits, i love my mk1 but also cant wait to get on the new one again and see how it goes. Such a confidence bike! Love it, well done lads on producing another stunning piece of engineering…… now stop bringing new ones out as the mrs is getting suspicious! Had my first ride of the Aeris 145 on the weekend – What a beast! Went for the XL frame size (what with me being 6ft 3″) and the bike stands taller than me when on its back wheel! Possibly the most fun I have had at the Forest of Dean. Climbs like a beast and descends like a monster. Fantastic customer service too! 1st ride out yesterday and I was blown away by the 145. Compared to my bronson it was soo stable and confidence inspiring. I was getting PR’s without even trying. Just wanted to let you know that I am absolutely loving my new Aeris 120. Clocked up some miles on it now and I simply can’t fault it. It’s so bloody fast, stable and sorted, it’s amazing!! I tried a lot of demo bikes before this (inc Whyte, Orange, Specialized) but this just stood out as the best for me. Oh, and it’s great riding something a bit unusual…haven’t seen another one yet! Good luck, no doubt you will sell shed loads more. Took my Aeris 120 out in the Peaks for a play yesterday. What an awesome bike! Climbed brilliantly and the downs were amazing, encourages you to just go for it and pick out the fun lines and drops! Love it! Collected my Zero AM-GX and I’m having a ball, absolutely love this bike, out on the trails and DH. The biggest thing for me is the friendly service not only when buying the bike but yesterday I managed to bend the mech hangar which then broke a spoke and gave me a puncture. I called the guys up, took the bike over and they fixed the lot for parts only. I had to force them to take a tenner for labour! Thanks guys for getting me back out on the trails in the afternoon top job. Picked up the brand new Aeris one20 at the weekend, and so many positive things to say! Fantastic customer service from Ben, all the way from demoing the bike back at the end of August, through picking components, changing my mind, changing my mind again, through to finally building the bike up which I was very grateful to be allowed to have a hand in! Then I got to ride it, and the thing flies!! On its first sloppy ride, I’ve beaten several of my own segment records! At 6’2″ I went for a size L, and it’s planted going up, and unbelievable back down. Amazing bike, and well worth the wait I had to endure! Thanks for Bird Cycleworks for the demo Bird Zero AM it was a complete blast round Swinley forest. The bike was glued to the corners and as confidence grew whipped over the jumps and fired you out…It Climbed like a mountain goat to which surprised me so on that basis i’m sold.. I want one!!!! I’m Having one!!!!! Demo’d an Aeris at Forest of Dean on Wednesday, ordered lunchtime on Thursday, got delivered Friday at 930. Weapon of a bike with outstanding customer service too. Amazing bikes and amazing service, got a zero AM and it matches the best hardtails I’ve ridden at half the price! By far the best customer service I’ve ever received! I was an annoying customer right from the start and yet they took every question with a smile, the guys running Bird will go out of their way to make sure you get the bike for you! Plus their bikes really are the dogs danglies. I’m faster on my zero am than I was on my full sus enduro bike and I’ve only just got it! Had my TR now for a month or so. I tested a fair few bikes beforehand (including Whyte hardtails). I can say this is by far the best hike I tried. It literally eats up the miles and can handle the technical stuff really well too. It was a very tough decision between the AM and TR. In the end using the bike for commuting swung it for me. Do try both bikes if you get the opportunity though, and talk to the guys at Bird as well. They designed the bikes so there are no better experts! Great post sales support as well, thanks guys! Currently recovering from a day at bike park Wales on the zero AM XL.. This thing just gobbles up the rocks and drops.. I did every thing that’s not “black” no problems no falls and almost kept up with my mate and his Capra.. Although to be honest he would be faster than me on unicycle. I’ve moved from a full sus canyon to a hardtail bird, I’m faster, I’m having more fun and I think I’m improving my skills..! WIN WIN WIN! Bring on the Aeris! I’ve had my Aeris for a few months and have done over 30 days professional MTB guiding on it, I and all my clients are stunned at the value for money and the performance blows me away on every ride! 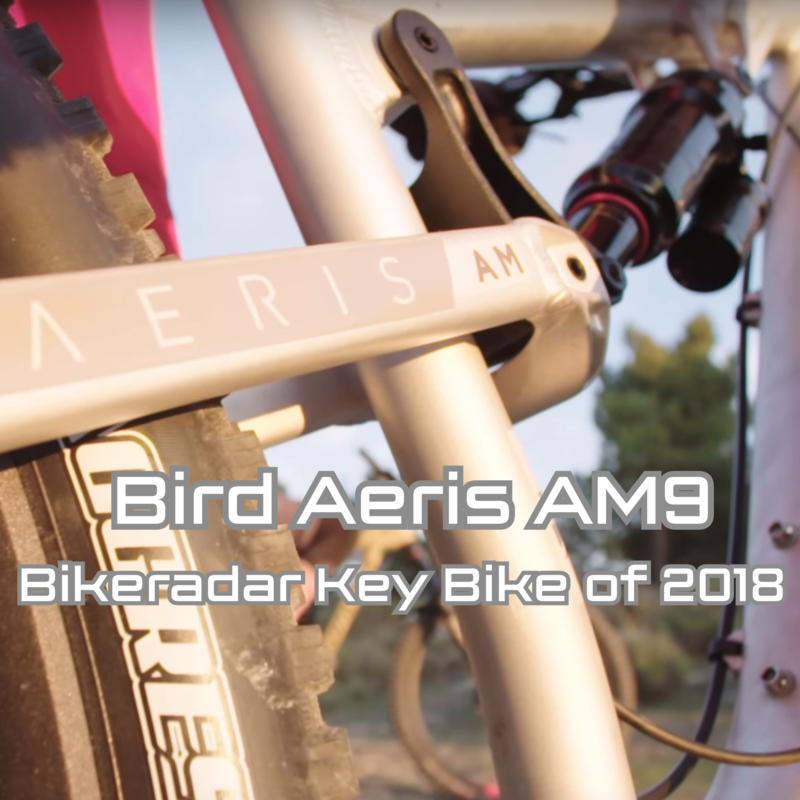 Without doubt the Bird Aeris is fastest bike I’ve had, and I’ve had a lot of em. Climbs as good as any, but when it gets even slightly downward, once you get the forward geometry dialed, it is so fast yet so balanced and neutral, to can stick it anywhere, pick a line as fast or as gnarly as you want. I’ve hucked, dropped off, stomped up big grinds and thrown it down Dartmoor Torrs and black trails, better yet I ride almost every day with out one issue. Strava doesn’t lie – blew away all other times. The perfect ride, you won’t get me on anything else. Everything about the bike works well and I have literally been blown away by it. I had ear to ear grins and even 24 hours later I have a massive smile on my face and am thinking about when i can next ride it. Its so keen to push on and be ridden where you look for any root or stone to pop up and lift off. I’ve moved from a full sus canyon to a hardtail bird, I’m faster, I’m having more fun and I think I’m improving my skills..! Smoked guys with 6 inches travel bikes everywhere. Damn, loving the way the Zero Am rides & its damn light. Bird really know what makes a good bike. Cheers !! !